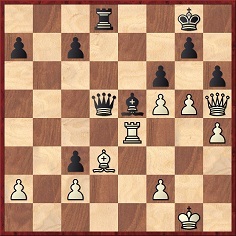 21...Re3 22 Nd4 Rxc3 23 Nxe2 Rh3 24 Bg3 Rxh2+ 25 Bxh2 Nf2 mate. 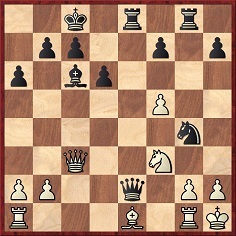 The remaining moves were 30...Nxe2+ 31 Kh2 Bxf7 32 Re3 Nd4 33 Rxf6 axb3 34 axb3 Nxc2 35 Ref3 Nd4 36 Rxf7 Nxf3+ 37 Rxf3 Rxf3 38 gxf3 c2 39 White resigns. 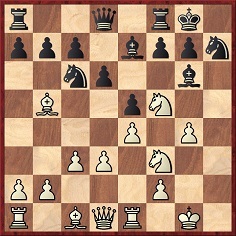 This is the earliest occurrence of ‘cheapo’ that we recall seeing in a chess context. 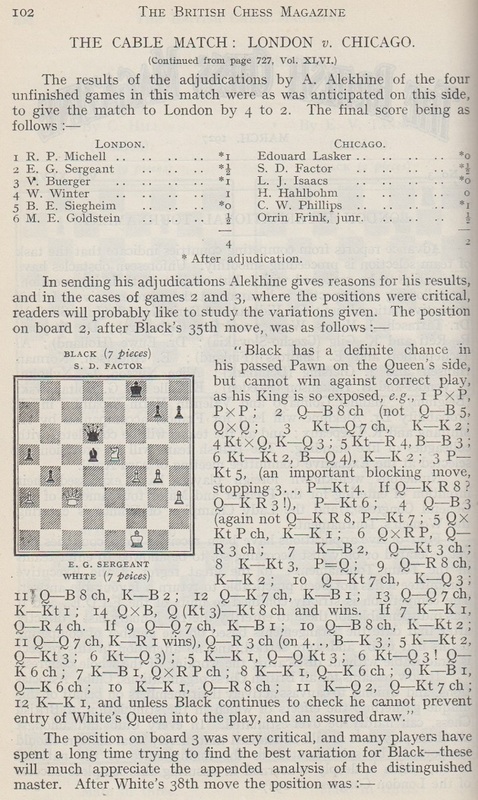 In a light-hearted article on page 154 of Chess Life, July 1962 Hearst wrote that the term was coined by the US master Dr Karl Burger, ‘who has won a large percentage of his games by such a maneuver’. 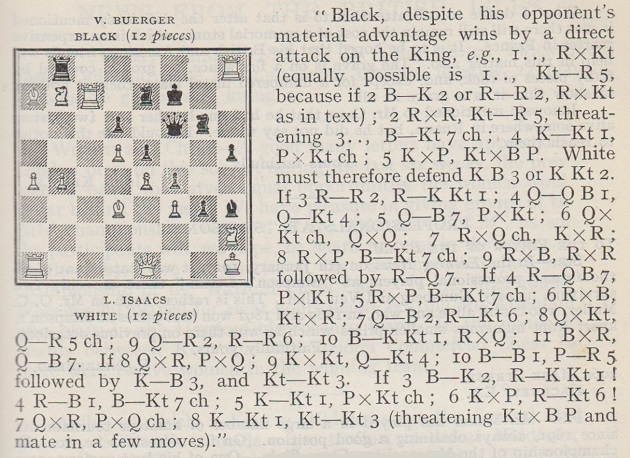 Burger, it may be relevant to note, was born in 1933.
Who called such games ‘Pillsburials’? 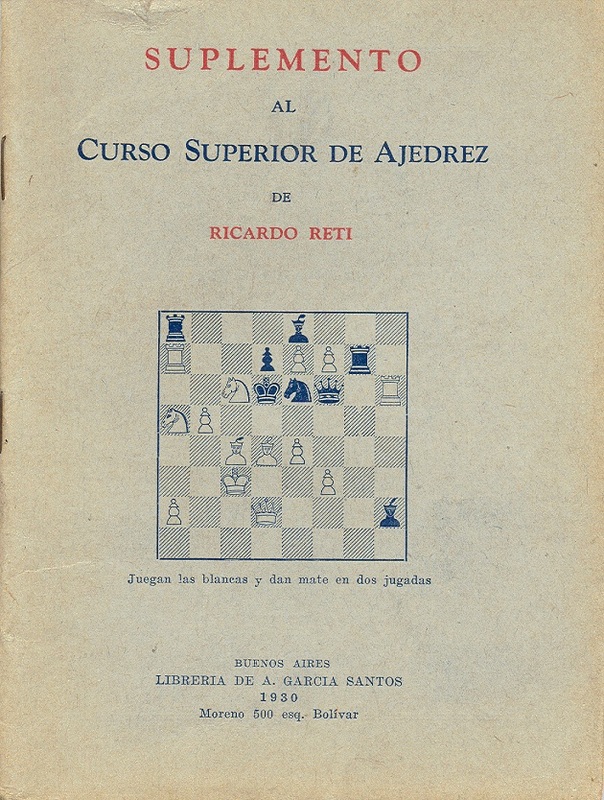 The term ‘A Pillsburial’ appeared on page 149 of the May 1958 Chess Review, in the heading to a Nimzo-Indian Defence game between Bisguier and F. Pérez, Bogotá, 1958. 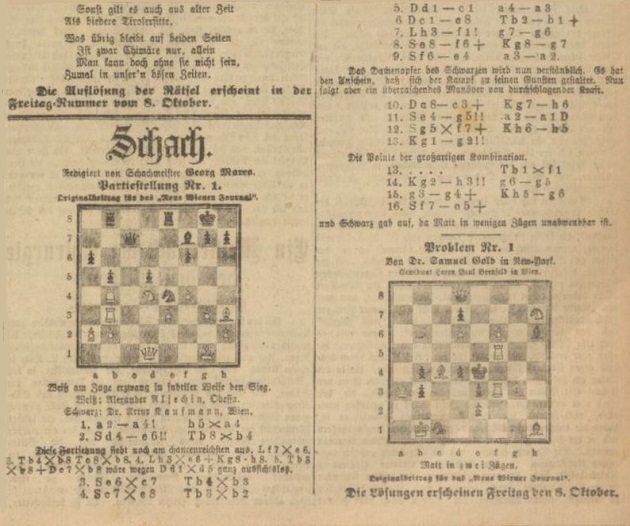 That game is also on pages 181-183 of volume one of The Art of Bisguier (Hazel Crest, 2003). The BCM thus offered not one word of apology for anything other than the Lasker mix-up. 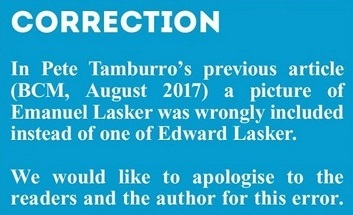 Pete Tamburro (Morristown, NJ, USA) now informs us that, in any case, the correction itself is wrong. 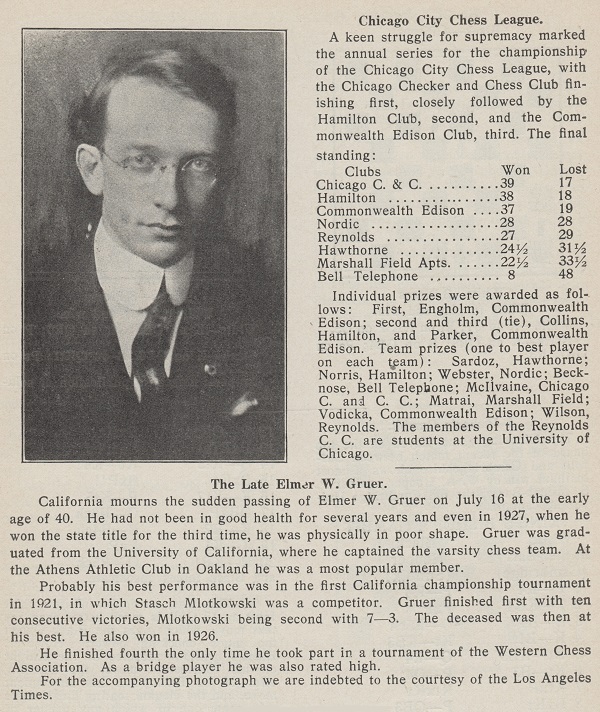 His sole contribution to the August 2017 BCM was a separate article on Yates elsewhere in the magazine (‘F.D. 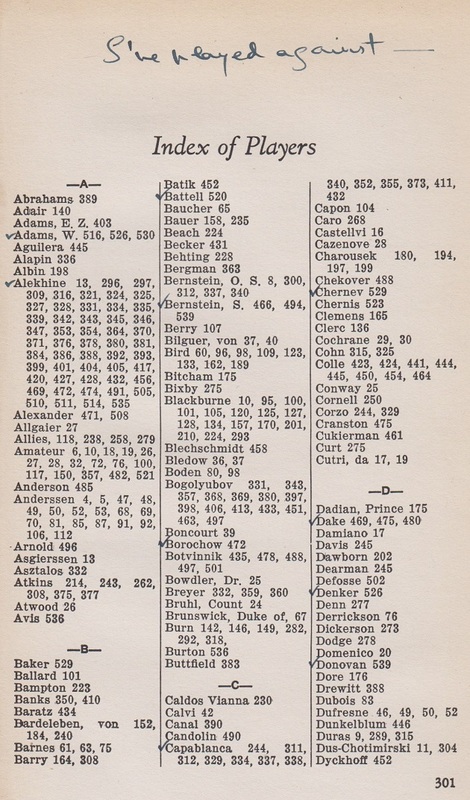 Yates and the 5 Bd2 Winawer’, on pages 494-497). The offending article ‘Did F.D. 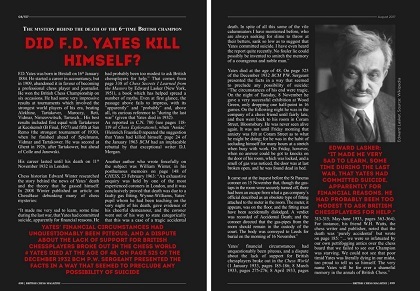 Yates Kill Himself?’ had nothing to do with him. 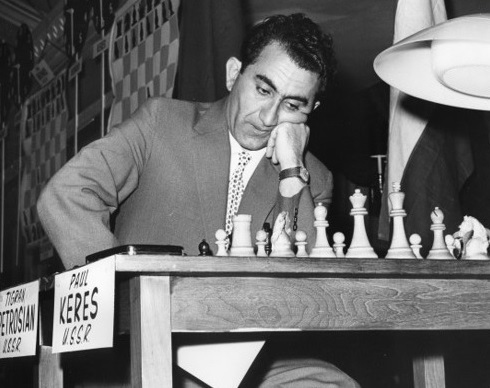 ‘On n’a jamais que l’âge auquel on a commencé à jouer aux échecs, car après on cesse de vieillir. 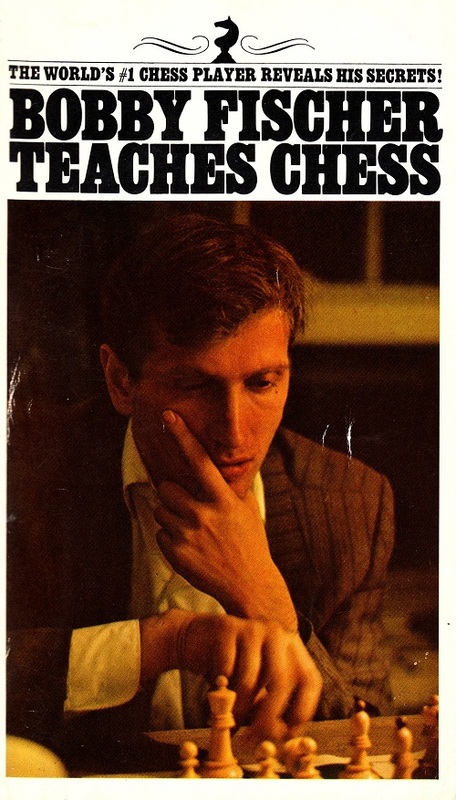 The latest feature article is Pre-Chess Chess Quotes. 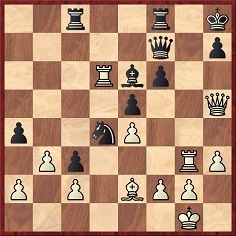 16 Nd5 Rxc2 17 Nxe7+ Kh8 18 Rb3 b6 19 Bb8 Rxb2 20 Rxb2 Bxb2 21 Bxa7 Bd4 22 Nd5 Nf6 23 Nxf6 Bxf6 24 Bxb6 Ra8 Drawn. 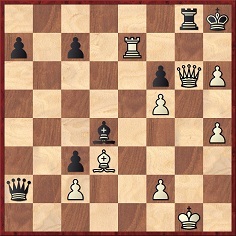 1...Kh8 2 gxh6 g6 3 Qxg6 Rg8 4 Rg4 Bd4 5 Re4 Qxa2 6 Re7 Resigns. 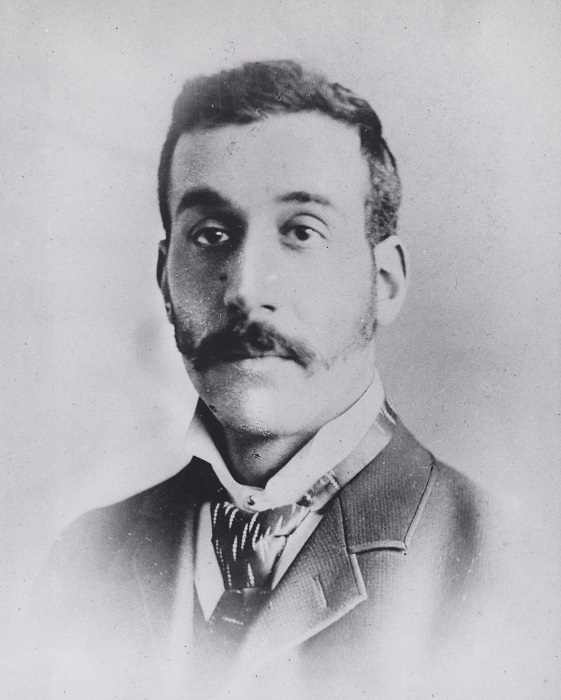 The other known shot of Blackburne in his final years was presented by a correspondent in C.N. 4791. An obituary of J.H. 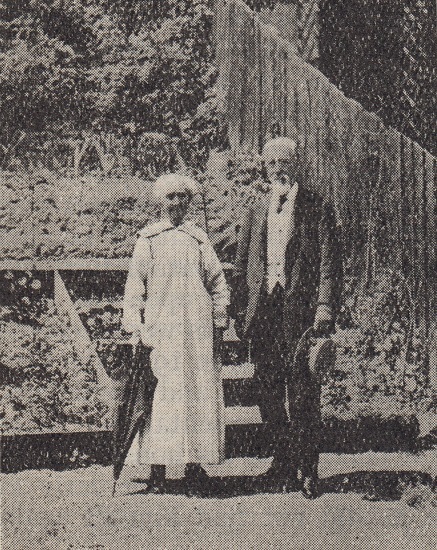 Blackburne’s wife, née Mary Jane Fox, was on page 50 of the February 1922 BCM. 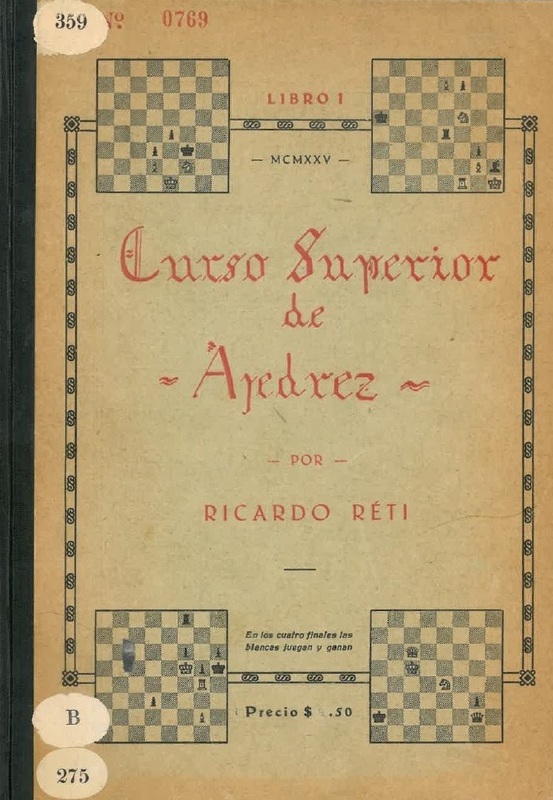 Another Chess Book by Richard Réti is our latest feature article. 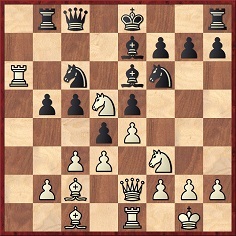 Black played 14...Bg5, but would 14...Ng5 have been preferable? 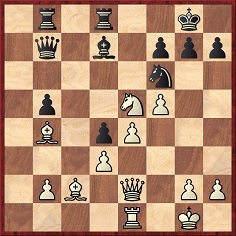 Evidently not, given that White then wins a piece with 15 Nxe7+. 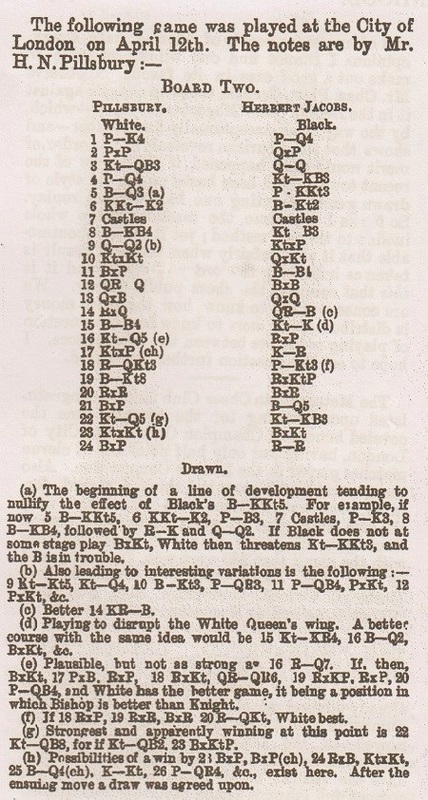 In the 1966 ‘unabridged and corrected republication’ of My Chess Career from Dover Publications, Inc. the text was the same, although on page 34. 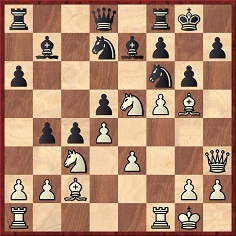 Capablanca may indeed have meant 14...Nf6, and not 14...Ng5. 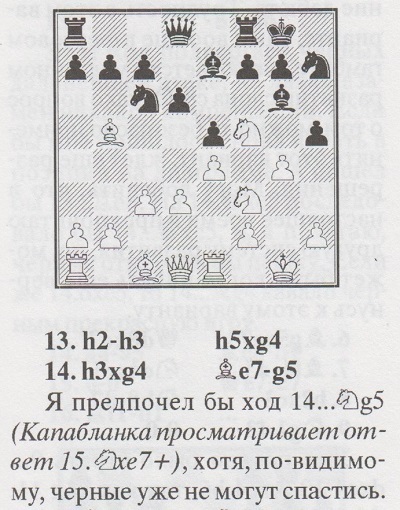 The existence of the move ‘Kt-Kt4’ in the previous note could have led to a typesetting mistake. 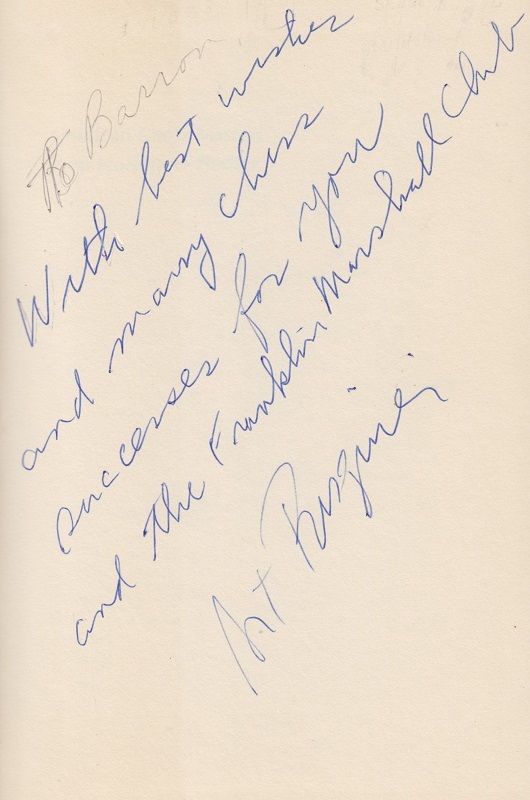 Page 49 of volume one of the 1997 ‘Chess Stars’ work on Capablanca followed 14...Bg5 with a brief note, ‘14...Ng5?? 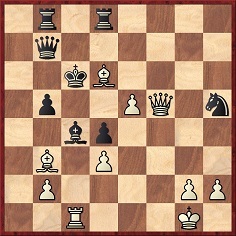 15 Ne7 +–’, but did not mention that Black’s move had been put forward in My Chess Career. 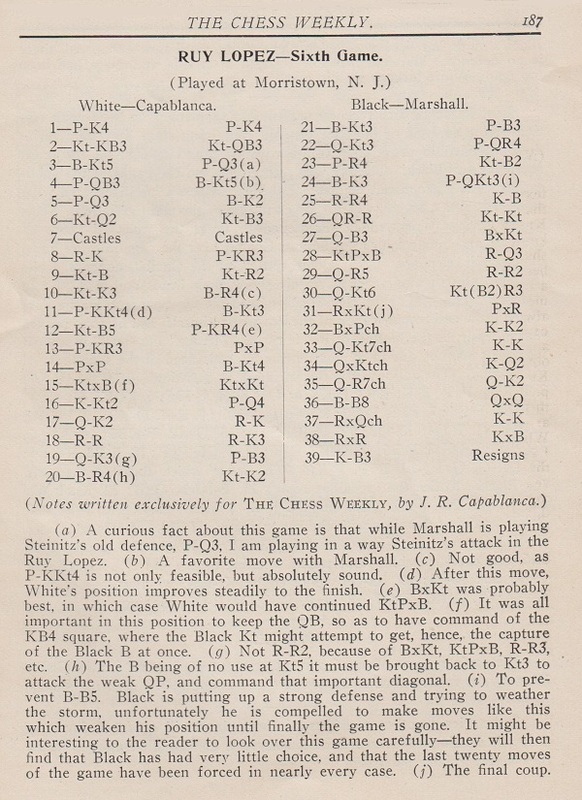 When was the ‘14...Kt-Kt4’ mistake in Capablanca’s book first pointed out? ‘I have checked the civil records available at Ancestry.com (Berlin, Germany, Marriages, 1874-1920. 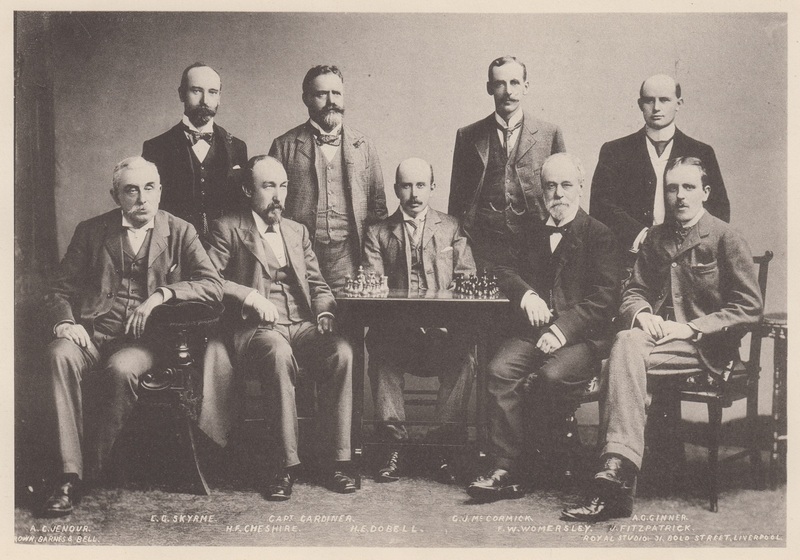 Provo, UT, USA: Ancestry.com Operations, Inc., 2014), the original data being from the Landesarchiv, Berlin. 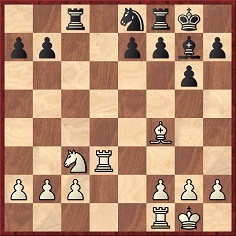 39 Bxc4 Rxd6 40 Bd5+ Kxd5 41 e6 mate. 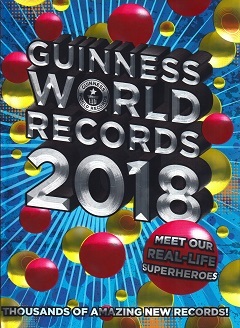 As regards our annual scrutiny of Guinness World Records, the 2018 volume is now to hand. 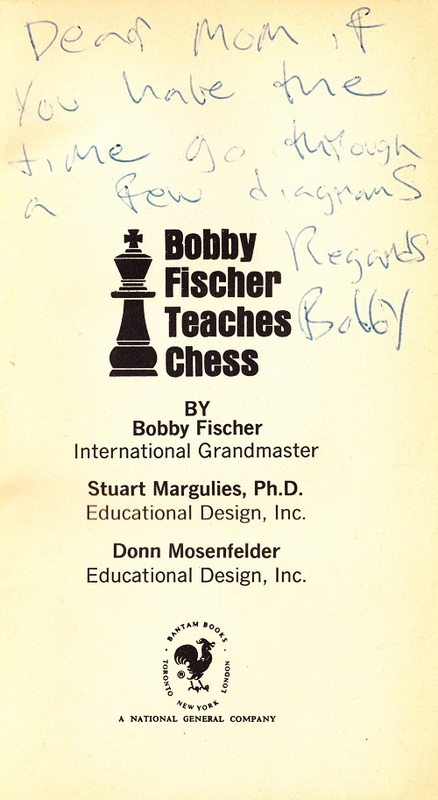 After the two pages for chess last year (C.N. 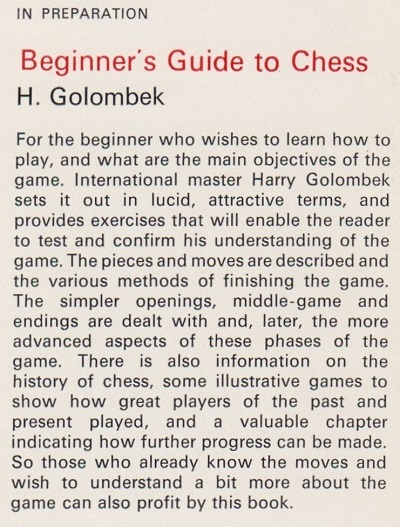 10110), how would the game fare in the new book (promoted on the back cover as ‘The super-est edition yet!’)? 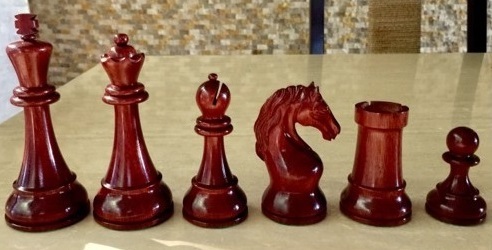 The answer is that chess is back to where it was two years ago: nothing. In compensation, the reader will find entries on such feats as the ‘most flowers picked with the mouth in a contortion backbend in one minute’, the largest collection of ‘banana-related memorabilia’, the most ‘cream-filled biscuits stacked in 30 seconds’, the ‘most shuttlecocks caught with chopsticks in one minute’, the ‘largest online photo album of people giving a thumbs-up’, the ‘most valuable bra’, the ‘first written record of black pudding’ and the ‘largest origami rhinoceros’. Frank Camaratta (Huntsville, AL, USA) asks whether photographs are available of Herman Steiner with the violist William Primrose (1904-82). 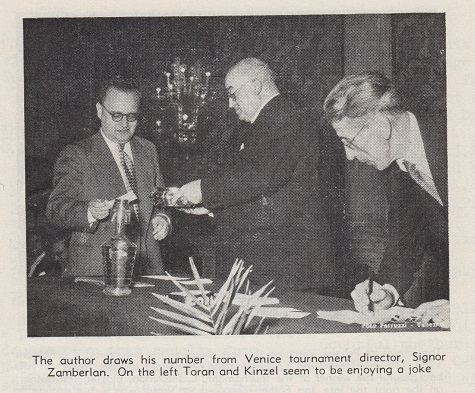 Adding that Steiner’s chessmen were used in a number of high-profile events in the 1950s and 60s, including the Fischer v Reshevsky match and the Piatigorsky Cup, our correspondent provides two photographs, taken with the agreement of the Steiner family, as well as a shot of Petrosian playing with the set. C.N. 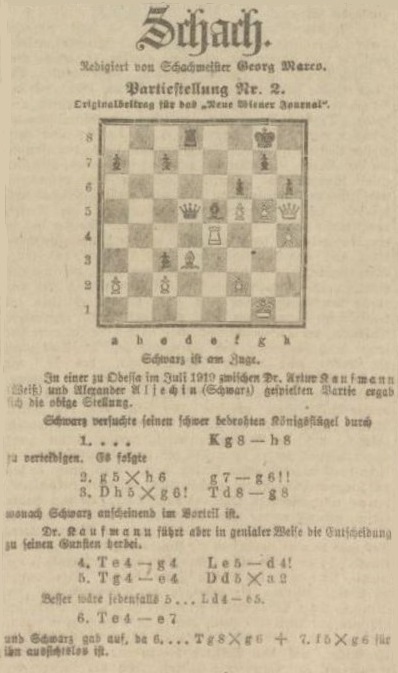 3912 reported that in one of our copies of The Golden Treasury of Chess by Francis J. Wellmuth (New York, 1943) the eminent musician Louis Persinger wrote on the first page of the Index of Players ‘I’ve played against – ’ and ticked these names: W. Adams, Alekhine, Battell, S. Bernstein, Borochow, Capablanca, Chernev, Dake, Denker, Donovan, Fine, Fish, Fonaroff, Fulop, Grabill, Hanauer, Helms, Hidalgo, Horowitz, Kashdan, Koltanowski, Korpanty, Ed. Lasker, Em. Lasker, Marshall, Platz, Polland, Reinfeld, Reshevsky, H. Steiner, Tenner, Testa, Ulvestad and Woskoff. Can any non-masters claim a comparable record? 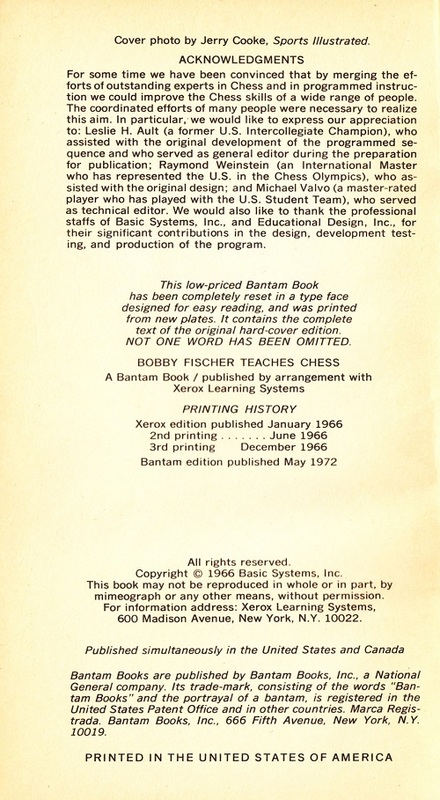 No such book is on record, although in 1981 Penguin Books brought out Beginning Chess by Harry Golombek. 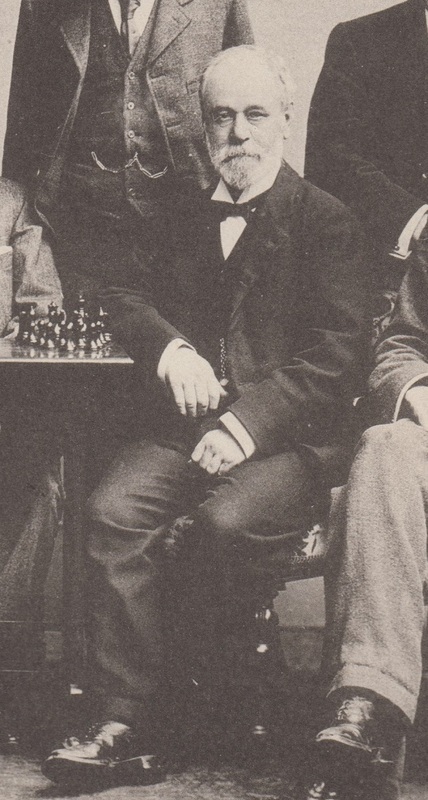 Frank Camaratta now has a photograph of Herman Steiner with William Primrose and will include it in an article on Steiner which he is currently writing.